In recent years, marketers and media professionals have talked a lot about interactive content online. Businesses have invested in rich-media banners, quizzes, social media content, etc. According to Adform, rich media delivers a 6.6X higher engagement rate than standard ad banners. Though email has more limits than HTML5 and the web ─ and many things are impossible to develop inside email because of the different parameters ─ the email marketing industry is looking for solutions. For example, adding videos or animated gifs could make your messages more interactive. 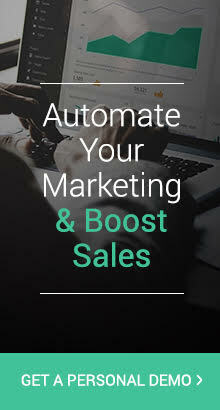 Boost your click rates today with Omnisend’s easy-to-use email marketing. Connect your store today to get your 14-day free Premium trial. In December 2015, Omnisend launched Scratch Cards, providing another interactive element for promotional newsletters. We analyzed their performance over the first twelve months and rounded up the results below. What is a Scratch Card? 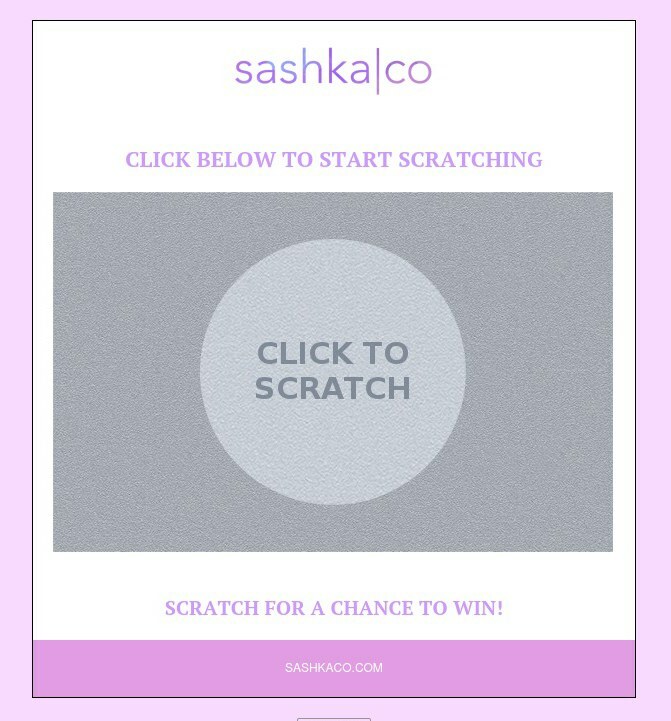 A Scratch Card is an email element that imitates lottery cards and invites subscribers to scratch and reveal prizes. The feature is simple: You drag and drop a Scratch Card content block into your email layout and set up the rules. Your giveaways (discounts, free shopping, gifts from your store, etc.) are distributed among your subscribers randomly, according to your rules. Over 1,500 Omnisend clients have tried Scratch Cards, and it seems they are truly handy for online retailers. Especially those with small click rates. 3.82% is the average click rate for ecommerce stores in an analysis of email marketing results for 15,000 online stores in 2015. 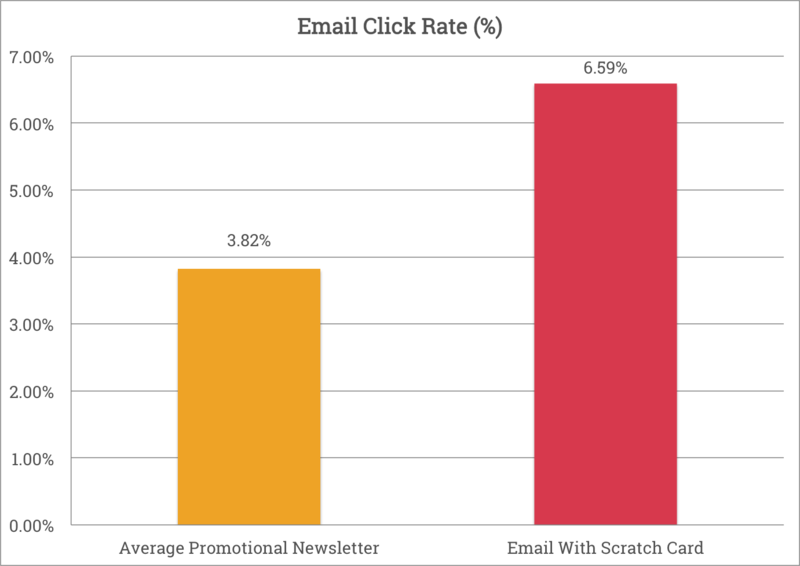 Meanwhile, the average click rate was 6.59% for 1,500 email campaigns sent since the Scratch Card was launched. Analyzing the data, I have also noticed that increased engagement with a newsletter doubles the average conversion rate. And it’s even more interesting to take a closer look at particular online retailers and compare their email campaigns’ performance with and without Scratch Cards. This is a fast-growing online store that sells grooming and shaving products for men. It does great email marketing and has tried Scratch Cards several times. This example shows its minimalistic email campaign sent in the end of 2015. 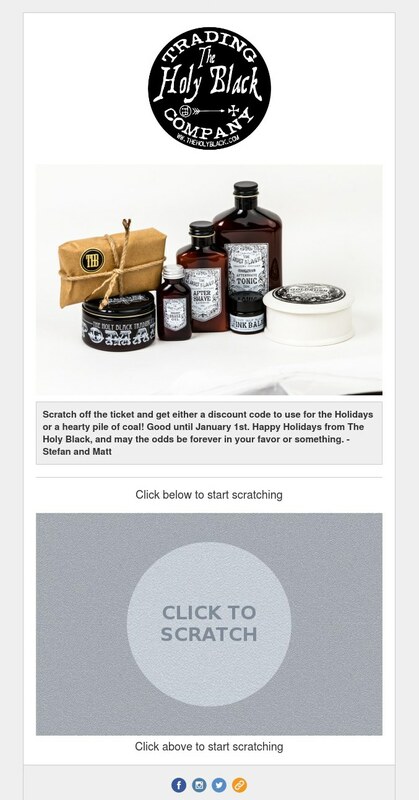 The Holy Black used a high-quality hero image of the products and an invitation to win a discount code or a prize. This online store has a healthy email list with engaged subscribers. 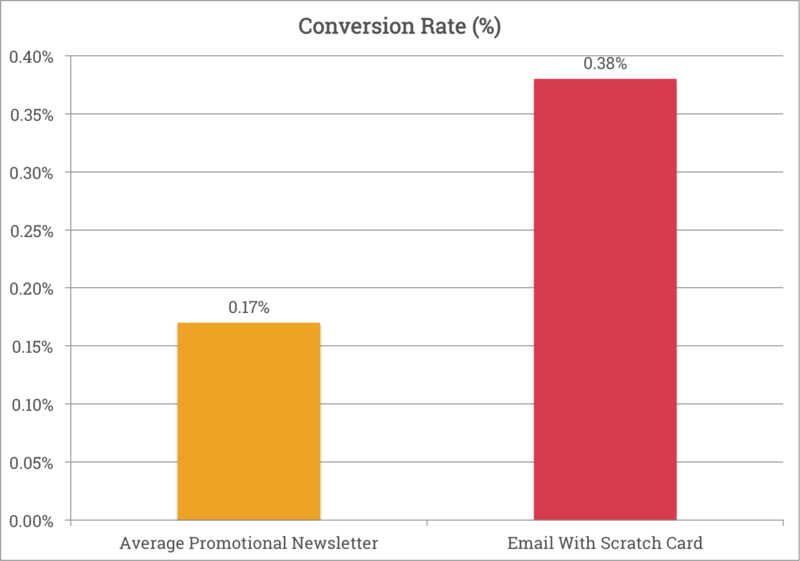 The average click rate for newsletters is over 7%, and the conversion rate balances around 0.4-0.6%. However, this email with a Scratch Card inside received a 14.64% click rate and a 0.8% conversion rate. Not bad, huh? Bargain Bows sells accessories and apparel for small girls. It also has a great example of how Scratch Cards can be used within newsletters. As you can see, email marketers for Bargain Bows included a Scratch Card at the top ─ so the subscriber could entertain him/herself right away and get a discount for the products showcased afterwards. This email had a 6X bigger click rate and a 4.5X bigger conversion rate than average email campaigns sent by the online store. Find out how you can sell more with Omnisend. Connect your store today to get your 14-day free Premium trial. This online store with wonderful images sells ponchos for women. Its newsletters have the voice of the owner, Mariah, and most of the time present a clear, minimalistic design. In this case, Cover Me Ponchos chose a layout opposite to The Bargain Bows’. First, a new fall line was introduced to subscribers, and then came the lottery for discounts. This email had a 9.6% click rate and a 4X bigger conversion rate than average email campaigns sent by this store. As the number of recipients and the campaign results for Bargain Bows and Cover Me Ponchos are similar, it seems that there is not a big difference between layouts whether the scratch card or the product listing go first. Street Fighterz sells apparel ─ T-shirts, hoodies, etc. The click and conversion rates for this store match the ecommerce email marketing average, and it is doing a great job. But the campaign I’m highlighting stood out because it poses an interesting question: Can you have too much of an interactive good thing? Street Fighterz used two interactive elements ─ a video and a Scratch Card ─ in one email. Both usually boost click rates, but I was wondering how those clicks were distributed when the elements were next to each other in an email. Omnisend provides clients with a detailed Click Map, so we can see the hot spots of subscribers’ interest and what they clicked on most. Let’s take a look. The Scratch Card received many more clicks (70%) than the video content block (15%). But the video was also a magnet for clicks, getting more than the products. So putting the two highly clickable blocks right next to each other was not the best idea. They compete and did not receive as much attention as they could have alone. I’d say two different campaigns with these elements would yield better results. Sashka | Co is another beautiful online store that sell accessories for young ladies. Usually, its newsletters contain big, high-quality images and lists of products. This time, though, Sashka | Co used a uniform color scheme and simple style, and the newsletter looked totally different. The email was clicked by 6.91% of Sashka | Co subscribers with a 1.27% conversion rate. That’s 4X higher than their average conversion rate and even 7X higher than the average promotional email in the ecommerce market! As an alternative to Scratch Card, try new Gift Box. When subscribers open your email, they will see your beautiful campaign with a slightly moving Gift Box. It will help you achieve the same results as the Scratch Card. Get better conversion rates and sell more with Omnisend. Connect your store today to get your 14-day free Premium trial. Online retailers must meet the challenge to be original, offer something interesting and make every email campaign special every time. That is why looking for new interactive content opportunities is an endless task. Bearing in mind the Scratch Card performance, it might be a good idea for your next newsletter.